Nick Rocco has committed to play MCLA Division I Lacrosse at the University of Mississippi. 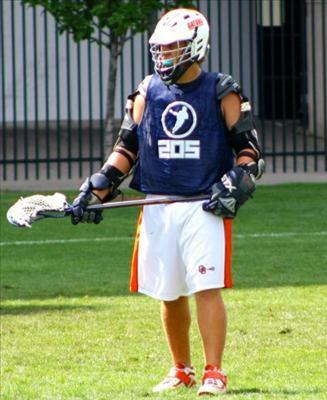 Rocco, a first-team All-State Louisiana High School Lacrosse League selection as a junior, had the opportunity to become one of the first Mississippi natives to play NCAA-sanctioned lacrosse. But he decided to forgo the opportunity, because, he said, he wanted a chance to have more of a social life in college. Ocean Springs is based in Mississippi but plays in the Louisiana High School Lacrosse League. “It’s more of a chance to have fun with the sport,” Rocco said. Dallas, Birmingham-Southern, Millsaps, and others before settling on the Oxford-based school. “It was just as much the school, as it was the lacrosse, that went into the decision", Rocco said. "Thanks to my team mates, I could have went to a lot of schools . I belong in Mississippi." "I’m hoping for more playing time and less pressure"
Join in and write your own page! It's easy to do. How? Simply click here to return to Mississippi Lacrosse.